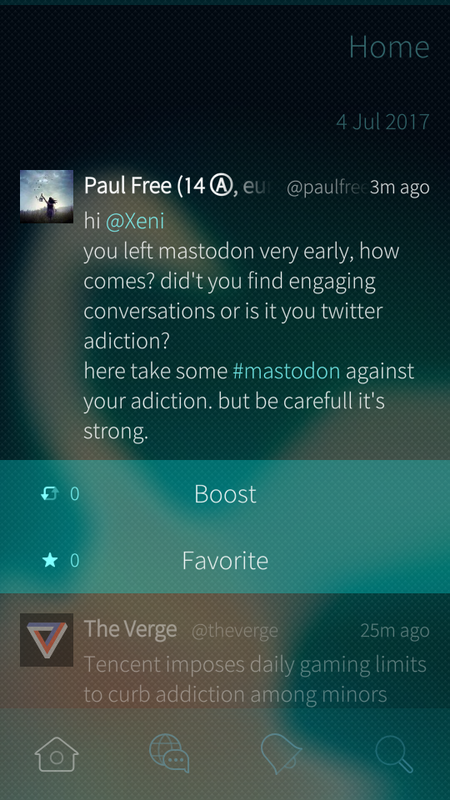 Tooter is Mastodon client. It is a free, open-source social network. A decentralized alternative to commercial platforms, it avoids the risks of a single company monopolizing your communication. It would be nice, if the last unread position in the timeline could be remembered. When opening I am always on the top. I have to search for the last unread toot. When I start Tooter 1.0.2, it shows a text input for the instance's https address - but I can't input anything! This is on SFOS 3.0.1.11 on Xperia XA2. Any guess what I'm missing here? Hi there... I have found an issue for this bug and it will be resolved. Exactly the same issue here on SFOS 2.2.1.18 on Fairphone 2. However, the copy is available and when I copied some text, I was able to delete it and write something else. It should be added in the last release. Can you confirm? Is this app still maintained? Alas, since the upgrade to SailfishOS 3 on my Xperia X, it just shows "Loadong Please Wait" for a second or so and then minimizes, leaving me back at the multitasking view. If I move ~/.local/, thenshare/harbour-tooter the same thing happens, I just also have to log in every time. If I run harbour-tooter from the terminal, all I see if a lime that claims "Successful GET API request" but then the next line simply states "Segmentation fault" and the app entirely exits, not even remaining visible on the multitasking screen. Would it be possible to add the ability to view your hashtag timelines/columns (Mastodon recently got a feature to aggregate several hashtags into a single column, which gets displayed in the webinterface) within Tooter? 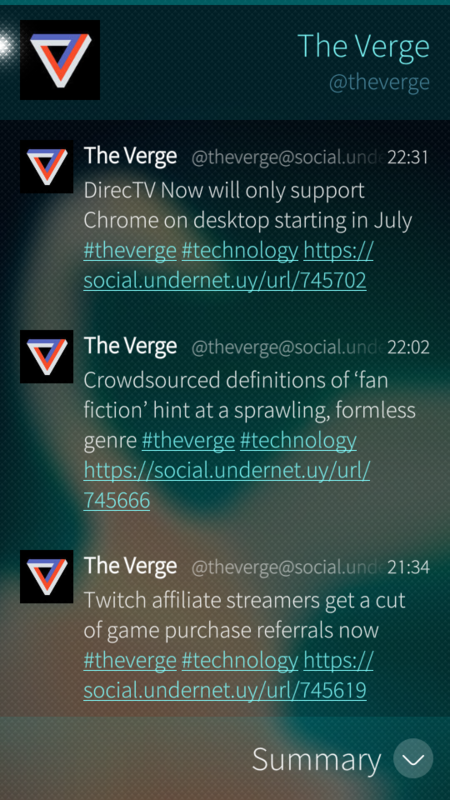 Other than that, Tooter is a really nice Sailfish app! (but not really useful for me at the moment) Thanks for that! I suspect there might be a compatibility issue with the latest releases of Tootsuite (for example, the local timeline sometimes shows same toots several times with instances running Tootsuite 2.6.1, some pictures and some pseudonyms are not shown, etc. Also, please render properly the “&apos;” entity. 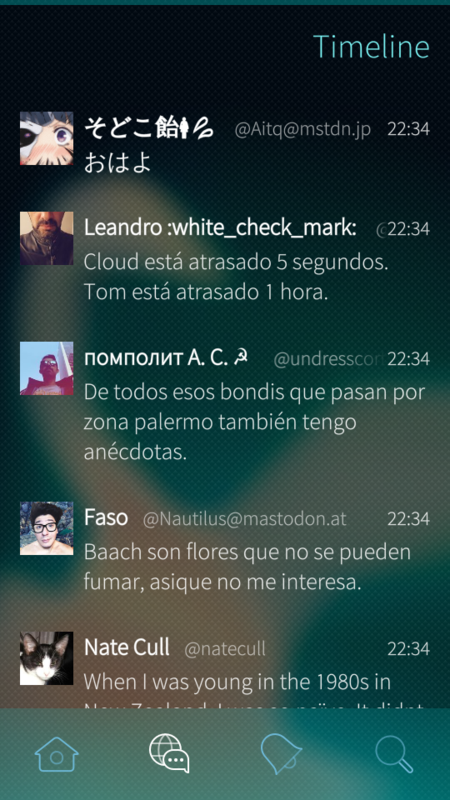 Gracias por v1.0.0 . spanish translate finally is fixed. Thanks for the latest updates and bugfixes. I have a request: Please make the notifications optional. 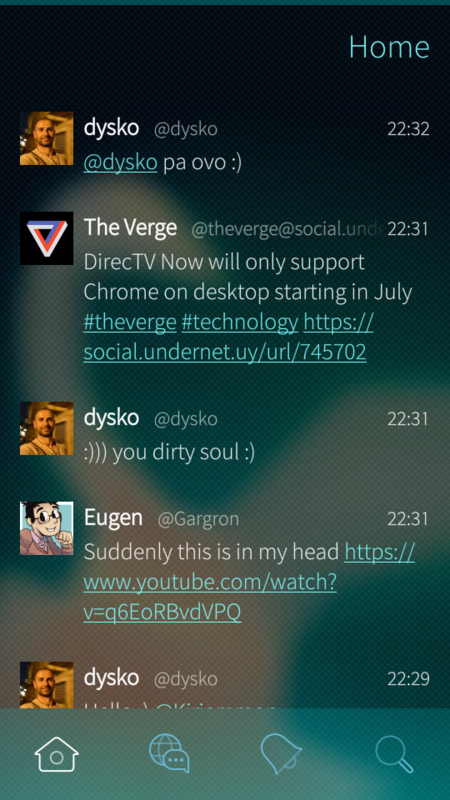 When I start Tooter, a lot of notifications appears, I find that a little disturbing. Thank you! Is it possible to delete and edit toots from within the app? It is not in this moment. I don't know, it shows on my device. I tried with German and Deutch, but I'll check. 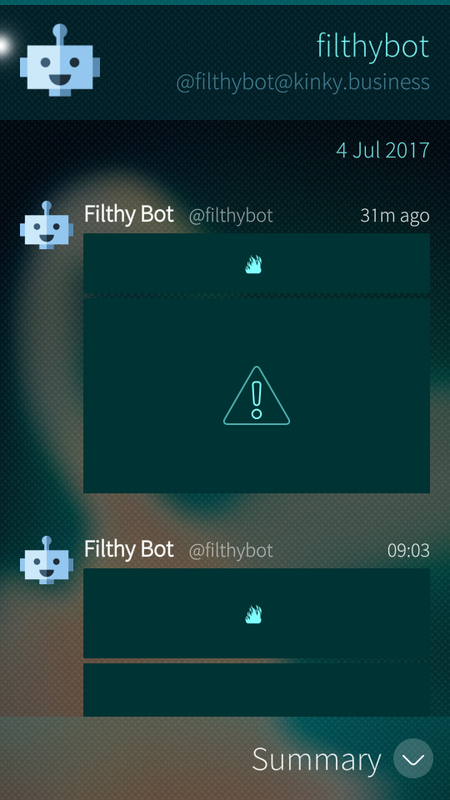 Tried with SailfishX/Xperia X and Jolla phone, same issue. EDIT: please ignore this comment. It appears there was a temporary issue on server side with https://mamot.fr, now fixed. I would like to suggest a new feature: when open a link inside Tooter, you can see in the drop-down menu two options: “open in web browser” and “ web mode”. It would be possible to add a third option? : “Copy link to clipboard” I think it would be extremely useful to share these contents. Thanks! Suggested feature: long tap on toot allows to boost, fav, reply.